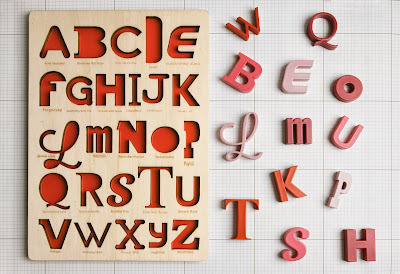 Today I'd like to share a few examples of the colourful work of Looodus, a newly established kids' brand based near Milan. Founded this year by Denise Bonenti, a journalist and photographer, and Kurt Stapelfeldt, a designer, this young company seeks to combine traditional artisan knowledge with digital design in order to create beautiful, 100% Italian, handfinished products. 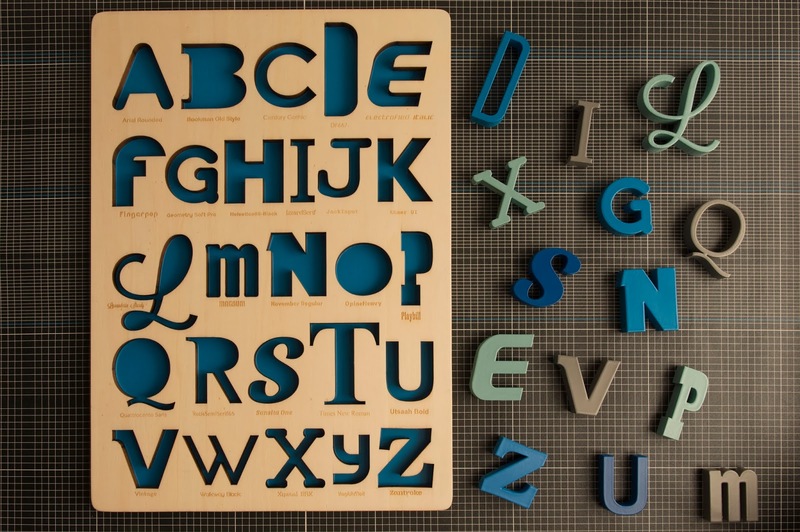 This Font Alphabet Puzzle is everything I love. 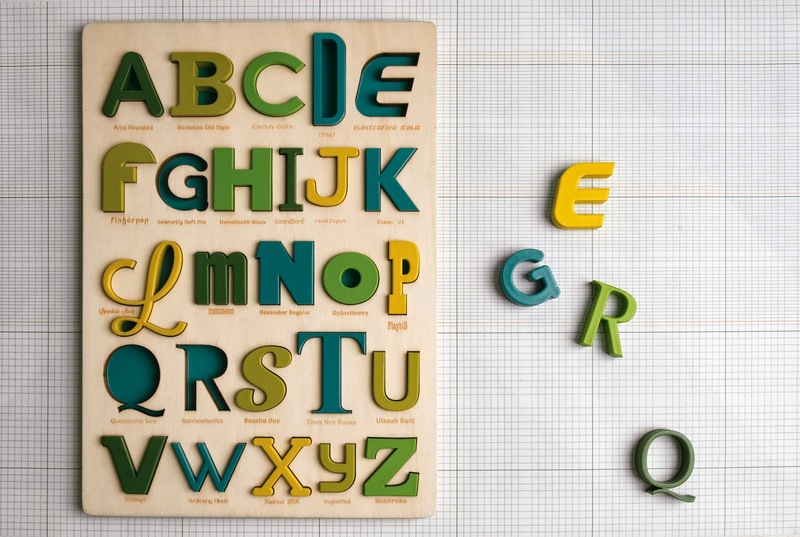 Born from observation of the designer's baby daughter and the real life experience of being a first time parent, it is laser-cut from FSC-certified popular wood and handfinished in the hills of Trivero in Piemonte. 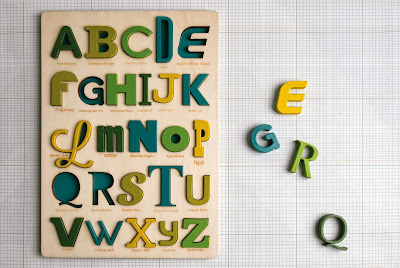 Modern yet artisanal, the Alphabet Font Puzzle exists in red, green and blue. It is intended for children of three years and up, but would also clearly appeal to design-loving big kids the world over. 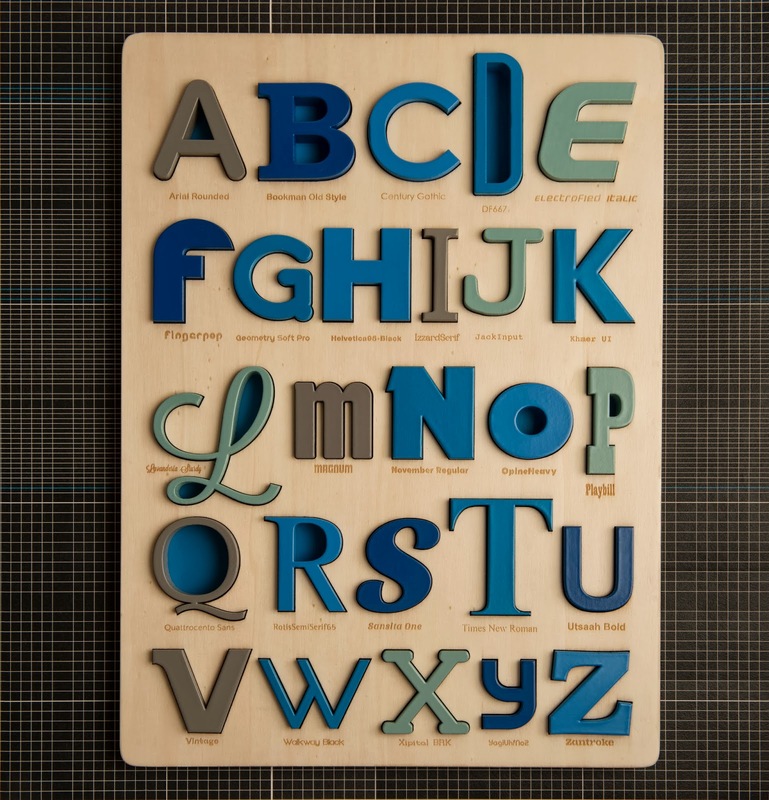 I'm going to have to add it to my Christmas Gift Guide, right now! 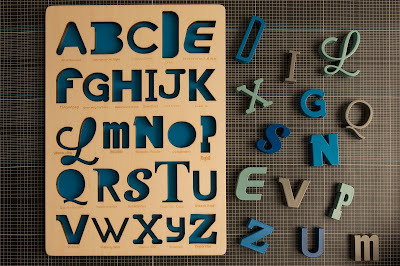 Looodus' Font Alphabet Puzzles are currently available from Mia Stella in Milan (please enquire here). 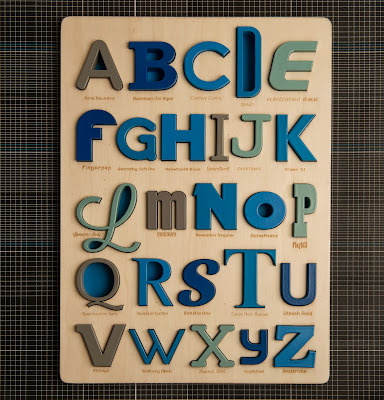 Watch out for more playful products in the not too distant future. Vraiment génial ! 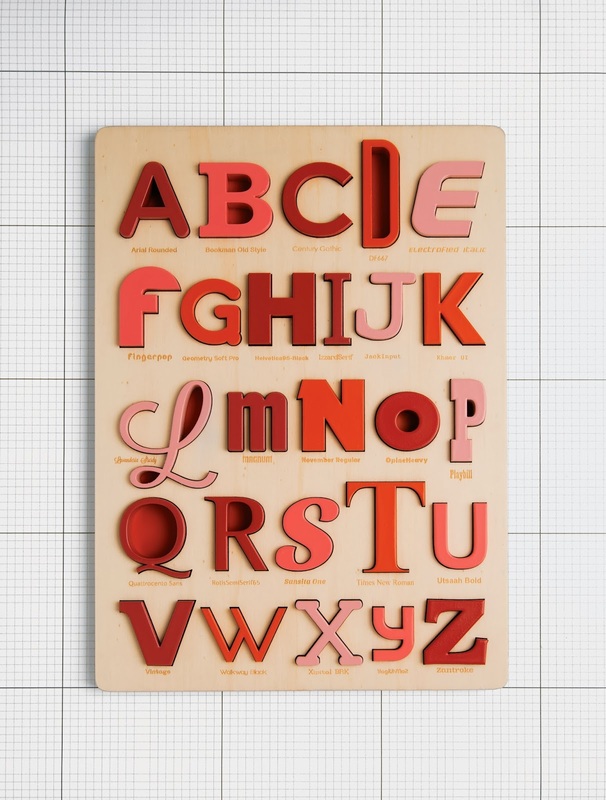 J'en aimerais un pour Rose qui apprend l'alphabet en ce moment ! Tu les vends ?